on the Tennessee side of the Smokies; Maggie Valley and Cherokee on the North Carolina side. The Smoky Mountains region draws over 10 million visitors annually during every season of the year. People visit in the springtime for the annual Spring Wildflower Pilgrimage conducted by Great Smoky Mountains National Park and for annual arts and crafts festivals. Summertime is a popular time for tourists because the Smokies offers watersports, including tubing, kayaking, whitewater rafting, and fly fishing. Other summer activities offered are water parks, theme parks, putt-putt golf, hot air balloon rides and much more. Fall is the most popular time of the year in these Smoky Mountains. The leaves change to brilliant shades of red, orange and gold, harvest festivals are at every turn, crafts fairs can be found in abundance, and the cool morning air is so refreshing. In the winter, one of the most popular events in the Smokies is snow skiing at Ober Gatlinburg as well as ice skating. Smoky Mountain Winterfest provides lots of planned events, including annual Christmas parades which attract multiple thousands of people, chili cook-offs, musicals, arts and crafts fairs, and other entertainment. Year round the Smokies is visited because of its outlet malls, beautiful golf courses, bicycle trails, llama trekking, hiking trails, campgrounds, and music theatres. Here are some guides to the Smoky Mountains which will be helpful in planning your next visit to East Tennessee. You will find information on attractions, hiking trails, shopping, festivals and other special events, restaurants, and accommodations directories where you book your reservation conveniently online. About the Smokies - A guide to Gatlinburg and Pigeon Forge. Provides information on attractions, hiking trails, restaurants, accommodations, shopping, arts and crafts, events, and much more. Great Smoky Mountains National Park - A guide to hiking trails, Cades Cove, mountain people, folklore, Smoky Mountain history, campgrounds, rivers and streams, waterfalls, and up-to-date news in the national park. Cherokee Indian Reservation - A guide to Cherokee with information on accommodations, Harrah's casino, Cherokee crafts, events, and history of the Cherokee in the Great Smoky Mountains. About Maggie Valley - A guide to attractions, accommodations, shopping, and restaurants. About Townsend - A guide to accommodations, Cades Cove, arts and crafts, special events in Townsend, bicycle trails, tubing and other water sports activities. About Wears Valley - A guide to accommodations, area events, shopping, arts and crafts, and some history of Wears Valley. About Pigeon Forge - A guide to one of the most popular vacation spots in America, located just outside Great Smoky Mountains National Park. Pigeon Forge is home for Dollywood, Dolly's Splash Country, music theatres, factory outlet malls, and hundreds of shops. Clingmans Dome - Information about Clingmans Dome. Includes a photo tour of fall foliage. Smoky Mountain Accommodations Guide - a directory of accommodations in the Smoky Mountains, including Gatlinburg, Pigeon Forge, Maggie Valley, Townsend, and Sevierville. Includes cabin rentals, hotels, motels, resorts, chalets, condos, and bed and breakfast inns. Smoky Mountain Express - the official search engine for the Smoky Mountains region, including Cherokee, Gatilnburg, Maggie Valley, Pigeon Forge, Sevierville, Townsend, and Waynesville. Smoky Mountain Winterfest - provides information on Winterfest activities and special events as well as accommodations, skiing, restaurants, wedding chapels, and more. 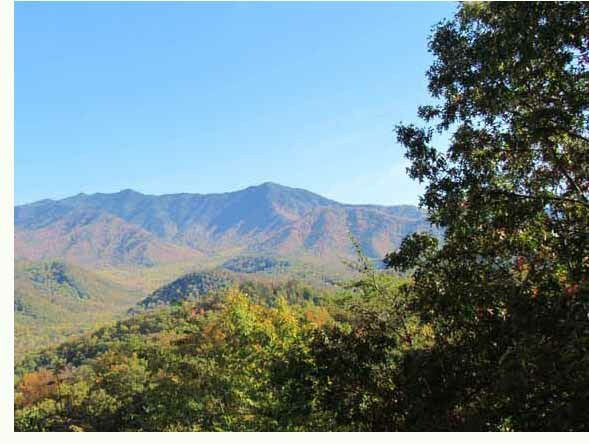 Smoky Mountains Planner - This guide will help you plan the perfect Smoky Mountain vacation. Gatlinburg Accommodations Guide - a directory of accommodations in Gatlinburg. Reservations can be booked online. Pigeon Forge Accommodations Guide - a directory of accommodations in Pigeon Forge. Reservations can be booked online. Wedding Chapels in the Smoky Mountains - the Smoky Mountains is the second most popular place to get married in the United States; This directory will help you find wedding services that offer a simple marriage ceremony or an exclusive package which offers not only a ceremony but photographs, video, reception, and a honeymoon suite or romantic cabin in the Smokies. For advertising, call Image Builders, P. O. Box 32932, Knoxville TN 37930 • 865-693-5739.